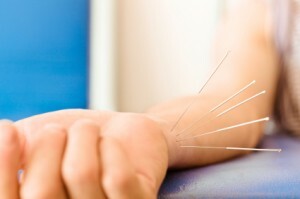 Acupuncture is a treatment technique used to relieve pain, enhance healing and therefore improve function. It involves the insertion of very fine needles through the skin at specific points. No medicines are injected through the needles. Because acupuncture stimulates the release of certain brain chemicals people frequently have improved relaxation, sleep function and a sense of wellbeing after treatment. Acupuncture is covered under most extended health benefit plans. It can be billed as physiotherapy when performed by a licensed physiotherapist or it can be billed as acupuncture when performed by a licensed acupuncturist. Be sure to check your specific plan for details. We have 3 physiotherapists who are licensed to provide acupuncture: Gord Routledge, Merrylee Clark and Kari Lambden. Appointments always available! To book an Acupuncture Treatment in Calgary, please contact Bonavista Physical Therapy.